The world’s deadliest doll is back for revenge in the latest chapter of the Child’s Play saga. Principal photography begins on the all-new Universal DVD original on September 5 in Winnipeg. 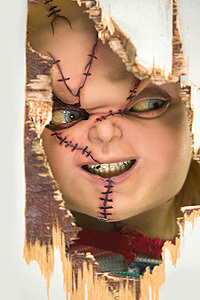 The sixth installment of the Child’s Play thriller franchise, Curse of Chucky, begins principal photography in Winnipeg, Manitoba, Canada, on September 5, 2012. The franchise comes full circle as Toyland’s most gruesome serial killer returns in an all-new movie from Universal 1440 Entertainment, a production entity of Universal Studios Home Entertainment.